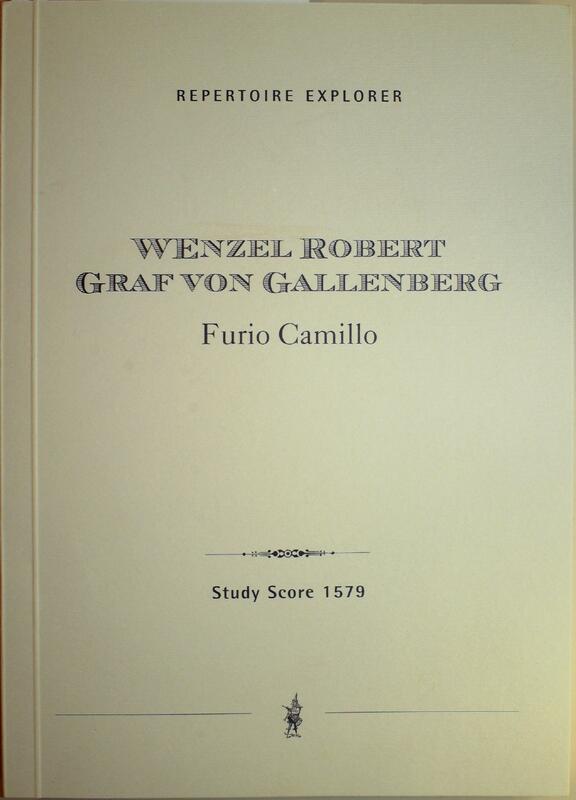 Wonderful news: my predecessor as Ward Music Cataloger here at Houghton, Morris S. Levy, has just published a modern edition of the full score to Furio Camillo, one of the manuscript Wenzel Robert von Gallenberg ballets in the Ward Collection, which Morris researched under the auspices of a Houghton Visiting Fellowship. He has been working at Northwestern University for some time now, and since we planned to meet at the recent Music Library Association annual meeting in Denver, we thought it might be fun to do a little interview about his experience with the project. And while Morris has published other projects, including three excellent catalogs of portions of the Ward Collection, this reconstruction provided him with some interesting challenges, as you will see. Andrea Cawelti: I’m sitting here with Morris Levy, newly published author of a reconstruction of Furio Camillo, a ballet by Wenzel Robert von Gallenberg. Morris Levy: Hello, people in Radioland. A: First of all, this is a wonderful publication; I’m thrilled to see it in print at last, and what I really wanted to ask you about first though is how did you get interested in Gallenberg, who is Gallenberg? M: Gallenberg as a person, was one of those Austrian princes, dilettantes, who for whatever reason found out that he had a knack for composition, and as he had some money and didn’t have to worry about trying to make a living, he went to the right teachers, like Albrechtsberger, one of Beethoven’s teachers. It’s not exactly clear to me how his career began; he was not associated with a court for example, he didn’t have an appointment as such, but he managed to make a career for himself composing stage works of various kinds. When he was in Vienna he composed Singspiels, and then started focusing on ballet, and after a time in Vienna he was invited to Naples, where he became the house composer for the school of dance at the Teatro San Carlo. There, he composed over 90 ballets that I could trace. Furio Camillo was his final ballet, performed in October 1838; he died in March of 1839. A: You got some exposure to Gallenberg while working in the Ward Collection at Houghton, I’m guessing? M: That is correct [laughter—Professor Ward collected a LOT of Gallenberg], while I was a project cataloger working on John Ward’s ballet collection. This was one of the items in the Italian ballet collection. Of the items in the Italian ballet coll., this was the only complete, full manuscript of a ballet prior to 1850. I think for that reason it was of particular interest to Ward, and he felt that something should be done with the manuscript, because nearly all of Gallenberg’s ballet scores that survive are still in Naples. 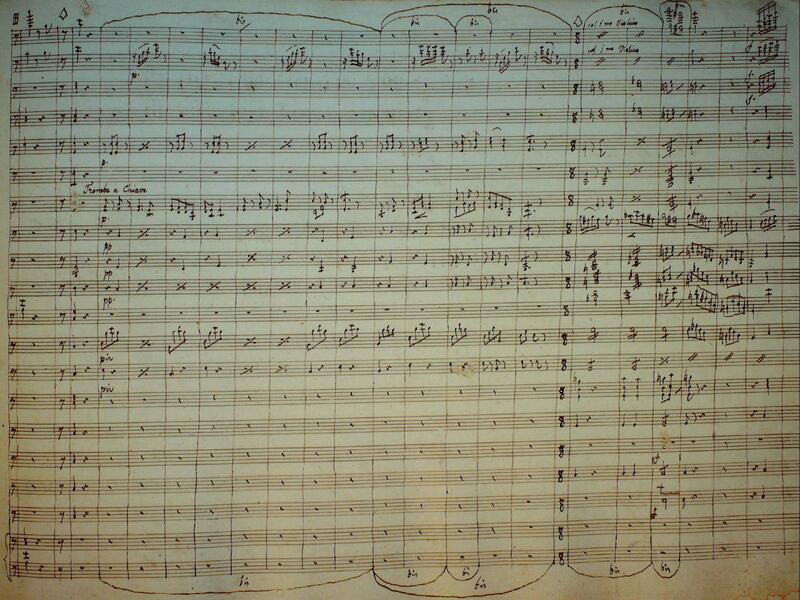 This may be the only full score of a complete ballet that managed to get out of Italy. A: You say it’s a full score, but you certainly had some choices to make in going through, in terms of how you were going to put it together in your reconstruction. You mention in your preface various choices that you made about instrumentation and such. Give me an idea of some of the challenges that you faced? M: From what I could tell from the manuscript, and from his life and output, he had to work very fast. There are a lot of repeats in his works, and he had a fascinating way of notating this: he would have various siglia that he would use, and then however many measures later he would have a number, and that would tell me how which siglia connected to the repeat. And so my quandary on that was whether to write out the repeat, or reproduce his system, which I decided not to do, given the requirements of the publishers. It also seemed less practical to use today, to make someone be flipping all around all the time. A: And I guess performers wouldn’t be used to this today either, whereas in the day maybe this would have been standard practice? …[Andrea here] I just wanted to give you a little taste of our discussion. We went on to explore several other aspects of this unusual project, and you can access the full interview here. 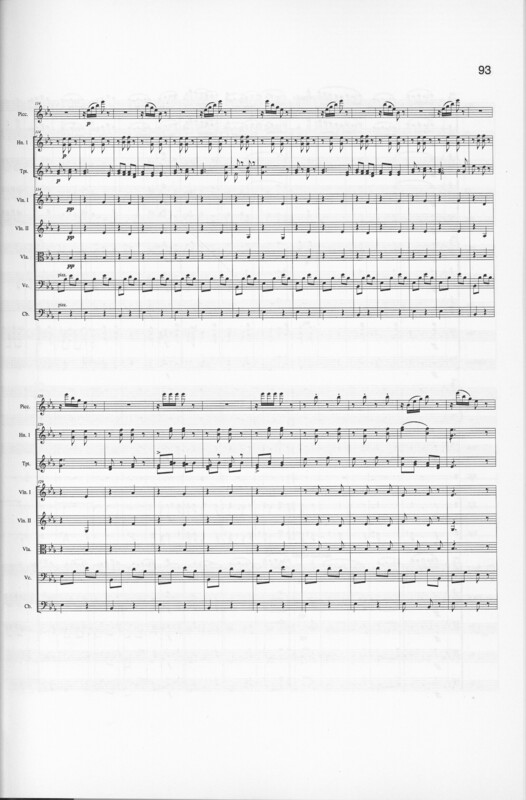 The score is available for purchase on the publisher’s website, under Gallenberg. Congratulations, Morris!